Kent County Council Trading Standards is asking residents to report sightings of rogue traders. Help us and Kent Police catch the rogues before they cause misery, devastation and financial hardship to you and someone you know. Has a doorstep trader offered or have you received a leaflet offering the following work? 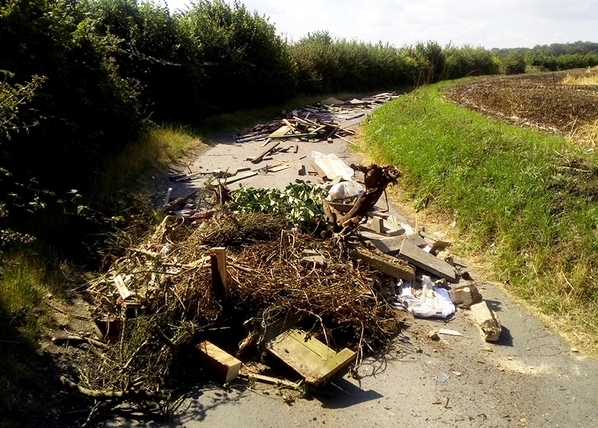 Did you know that rogue traders often dump rubble and garden waste illegally across Kent which costs a lot of money to remove and is a blight on Kent’s countryside? Rogue traders offer driveway and garden clearance work for a low price then dump the rubbish to avoid paying to dispose of it legally. Not sure if they are a rogue trader? You can report information to us and upload a copy of the leaflet on our online sharing form or you can hand a copy of the leaflet to your local Community Warden. You can also report it to Citizens Advice consumer service on 03454 040506.